Nearly 200 vehicles remain stuck Friday on State Route 58 in Tehachapi after flash floods inundated cars with mud and debris in Kern County. TEHACHAPI, Calif. -- Nearly 200 vehicles remain stuck Friday on State Route 58 in Tehachapi after flash floods inundated cars with mud and debris in Kern County. 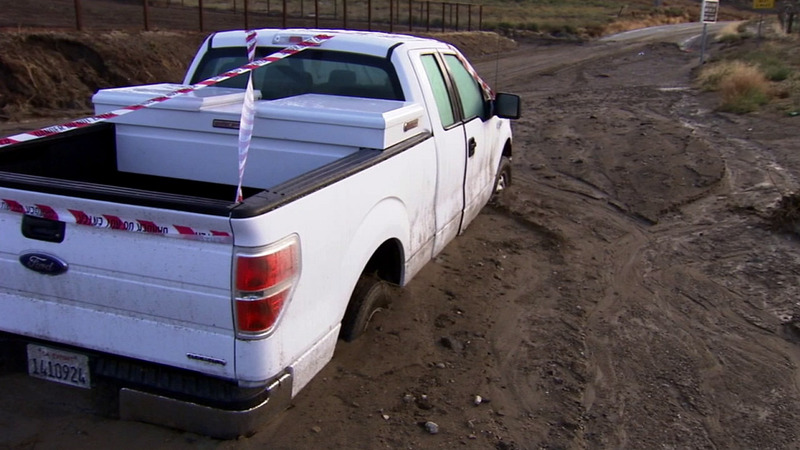 According to the California Highway Patrol, the vehicles have been stuck in the mud since 6 p.m. Thursday. Kern County Search and Rescue crews were working to reach people in need of aid. The stranded vehicles include 115 passenger cars, 75 big rigs and two tour buses, according to CHP Sgt. Mario Lopez. In addition, Lopez said there are even more vehicles stuck behind the already massive backup. CHP advised motorists to take detours to avoid the area. On the Mojave side, drivers can take State Route 14 to the westbound State Route 178. State Route 14 is open heading south to the 5 Freeway, but it was severely bottlenecked Friday morning. State Route 58 in Kern County near Mojave east of Tehachapi was expected to be shut down for a few days, the CHP said. There were 4 to 5 feet of mud and rocks still on the roadways. Eyewitness News viewer Jose Vargas sent video he captured from inside his tractor trailer. In the footage, Vargas is heard screaming for help in Spanish as flash flooding washes away several cars ahead of him on State Route 58. Vargas and dozens of other people spent the night stuck in the Tehachapi Pass area. Vargas also posted video around 5 a.m. showing his rescue. The footage shows Vargas and several people filling up a bus, which took him to a shelter set up by Red Cross at Monroe Continuation School in Tehachapi. Flash flooding sparks a mud flow that closes roadways, strands vehicles and damages property in northern Los Angeles County .